Industrial Light and Magic Visual Effects has released a behind-the-scenes reel for Captain America: The Winter Soldier, showcasing the post-production process that created the film’s visual effects. 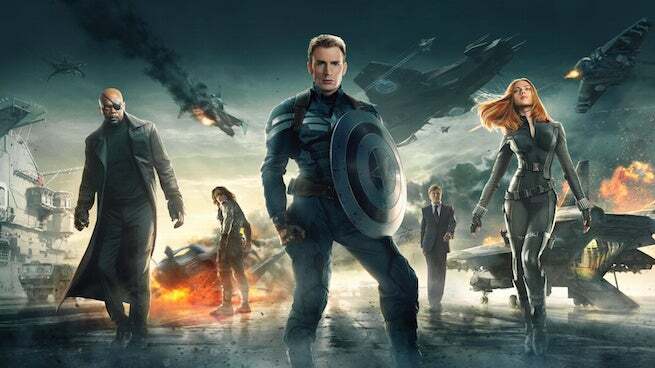 Industrial Light and Magic, the studio that created Winter Soldier’s visual effects, peels back the special effects layers behind key moments in the Captain America sequel. In the video, fans can see how effect-heavy scenes were brought to life from concept art to finished film. Key moments include Captain America and Winter Soldier’s climactic fight aboard the S.H.I.E.L.D. Helicarrier, the Falcon’s flight against HYDRA, and the Helicarrier’s crash. Industrial Light and Magic is a special effects company owned and operated by Lucasfilm. Their visual effects work includes Star Trek: Into Darkness, Pacific Rim, and G.I. Joe: Retaliation. They will provide the visual effects for next year’s Star Wars: The Force Awakens. Check out the video below to see how The Winter Soldier’s biggest scenes were brought to life. Captain America: The Winter Soldier was directed by Anthony and Joe Russo.